Jessa728 Oct 03 2017 9:30 am His aura in Beautiful Gong Shim is incredible. :) He is so talented. Hotelier Aug 04 2017 12:25 am I just know he can dance and sing from Take good care of our fridge :D I think he have a really sweet smile. dddzet Jun 18 2017 7:38 pm he is a good actor as well as good at singing. 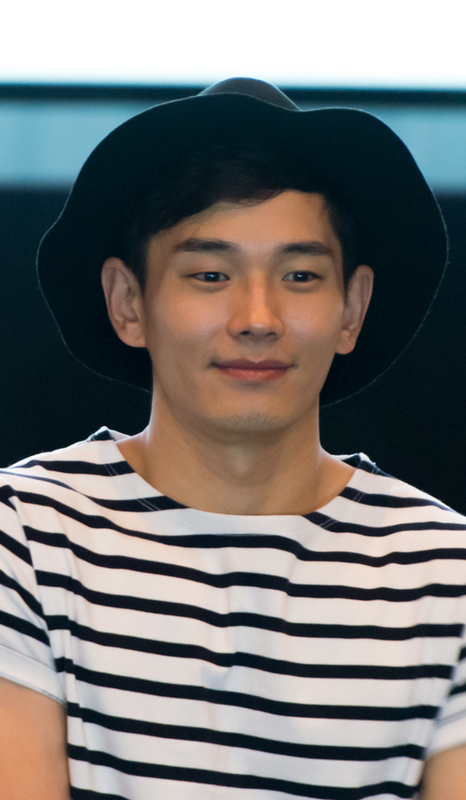 i just found out that he is a musical actor too (from king of the mask singer) i really want to see him as a musical actor. nora May 03 2017 7:13 am Those who had crush on him.. you need to watch the movie( the five..) you will not believe it..??? TP Aug 10 2016 10:53 pm A very good looking & soft spoken man. And such a good actor too. Fighting! CKW Oct 31 2015 3:38 pm He is very underrated. Such a good actor and very good looking too. maf Apr 30 2015 10:39 pm I like ur acting in punch. fighting! Fluke Oct 23 2014 1:50 am like him. sunheeIR Oct 11 2014 5:54 am He was really devilish in the five. I hate him for killing all woman and even a family. He is a great actor! J Aug 13 2014 3:54 pm Everytime i see him in surplus princess he reminds me of kim jong kook his smile every thing but kim jong kook has muscles and on joo wan doesnt have them. kilo Aug 08 2014 8:43 am Wtf? He does not look 31, he looks like he's still in his mid 20's. Amazing. Vanessa Jade F. May 10 2014 2:34 am Such a great actor.. Fighting!!! aslee Apr 04 2014 1:40 pm your such a great actor :) . keep it up! just be who you are. Cynthia Dec 07 2013 5:12 pm I'm addicted to My Mighty Princess, also to you, too! NoNe Jul 04 2009 5:08 pm I love hem he is great..
U Are a greaT actoR... aLwAyZ do Ur Best...!!!! sha jeehan Jan 24 2009 3:50 am hi..he's soo hot..makes me laugh all the time..
BSQ Dec 20 2008 12:20 am omg he does look like rain bi in my mighty princess...he was justt sooooo ADORABLE in it!!! Jane Dec 16 2008 1:53 pm I love the movie MY MIGHTY PRINCESS! and Ju-wan is adorable in the movie!!! Lenra Oct 20 2008 1:59 am A Great actor (Mighty Princess, his only movie I watched), has a nice voice and really handsome.